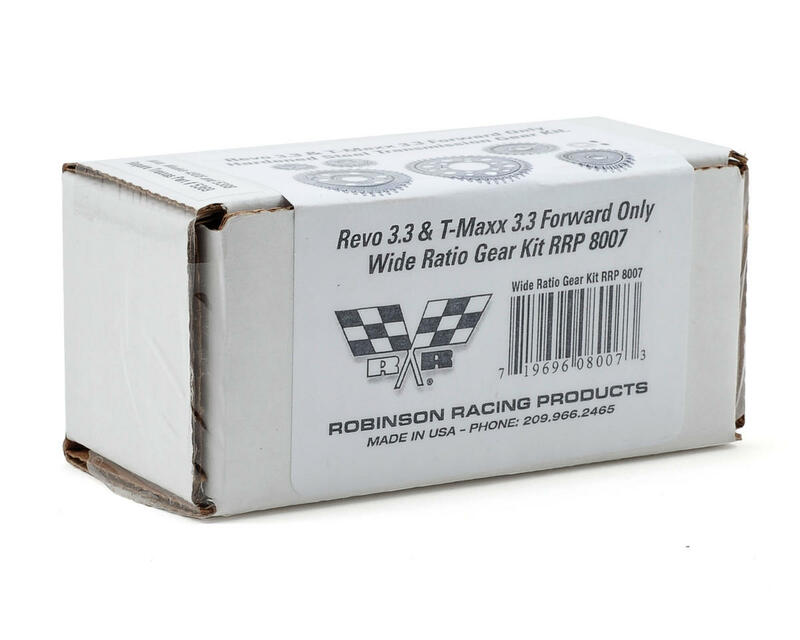 This is an optional Robinson Racing Steel Forward Only Wide Ratio Gear Kit, and is intended for use with the Traxxas Revo 3.3 and T-Maxx 3.3 monster trucks. 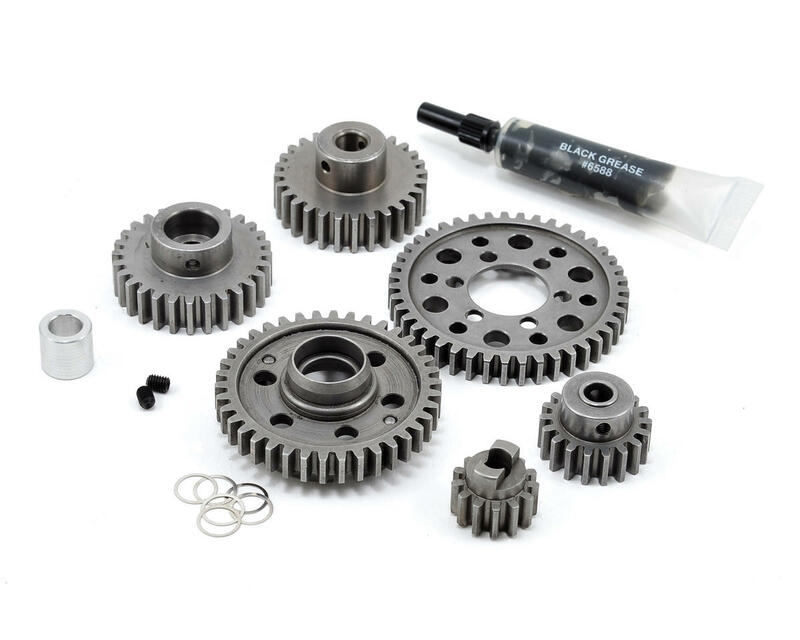 Convert your Traxxas monster to a forward only wide ratio transmission with these hardened steel gears. High quality materials and precision machining provides long life and dependable performance.